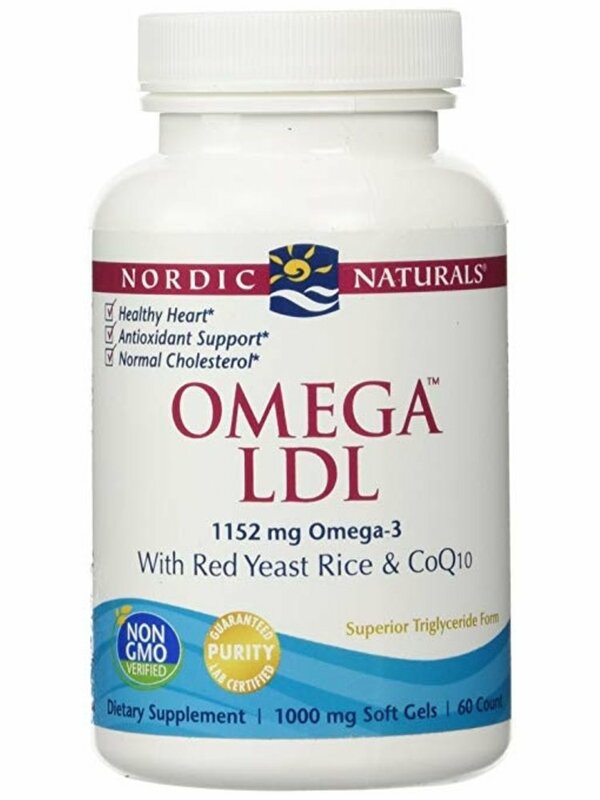 A SYNERGISTIC BLEND - Nordic Naturals Omega LDL is a synergistic blend of ingredients that have been shown to support overall cardiovascular health. 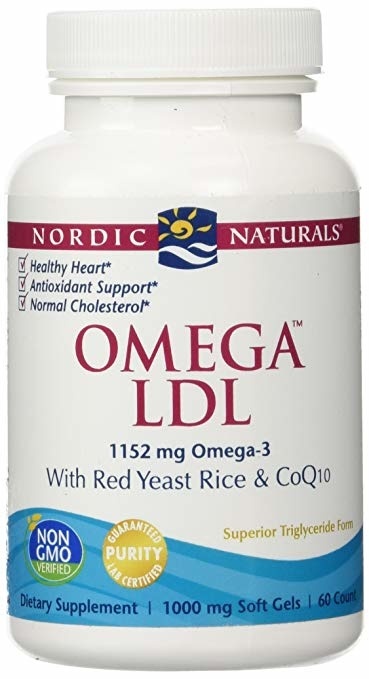 Omega LDL combines the cardiovascular benefits of omega-3 fish oil with the additional heart support of the antioxidant CoQ10, and the lipid metabolizing action of red yeast rice. Our Omega-3s, DHA and EPA come from deep sea purified fish oil from sustainable sourced anchovies and sardines. BE HEALTHY, STAY HEALTHY - This potent formula supports healthy blood lipid levels, including cholesterol and triglyceride levels, in healthy individuals. 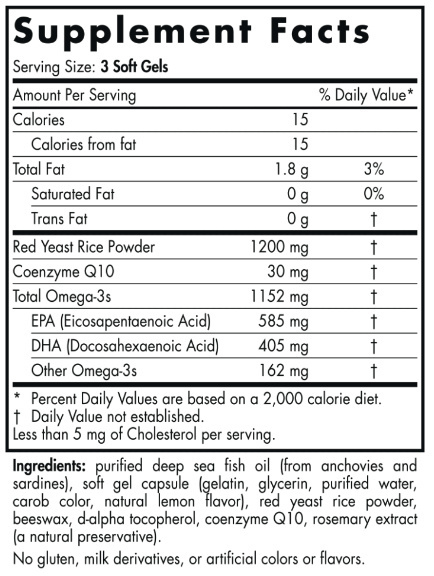 It also supports healthy blood vessel function and maintains overall cardiovascular function. These Omegas also support heart and brain health, cognition, and immune system function. All of these benefits in 3 soft gels taken daily with food. BEST ABSORPTION FOR BEST RESULTS - Many concentrated fish oils on the market are in the ethyl ester molecular form-a synthetic fat. Nordic Naturals formulas are produced in true triglycerides to ensure optimal absorption and results. Nordic Naturals is a leader in freshness and uses citrus essences and other ingredients from nature in our patented flavoring process to ensure our supplements have no fishy smell or aftertaste. It is naturally flavored with a delicious lemon taste.